Language has no barriers, they say. 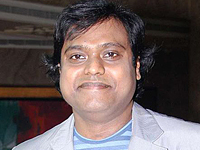 Proving this now is Harris Jayaraj and Madan Karky, who have come out with a song that will have lyrics in more than 10 different languages. The music composer-lyricist duo is doing this experiement for Vijay-Jiiva-Srikanth starrer 'Nanban', a remake of Bollywood blockbuster 'Three Idiots' and directed by Shankar. "The song features words from 15 different world languages. Director Shankar and Harris have always encouraged me to experiment with lyrics in their projects. A big thanks to them," says the son of 'Kaviperarasu' Vairamuthu. On his part, Harris says, "Madan Karky has done a tremendous job by using more than 10 languages in one song. Very interesting and applaudable job indeed." The number is crooned by Vijay Prakash and is said to be one of the highlights of 'Nanban'.